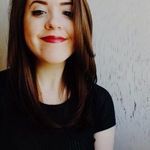 The 2019 Wedding Trends That You Need to Know About | Wedding Ideas ARE YOU A VENDOR? Ready to start planning your wedding? 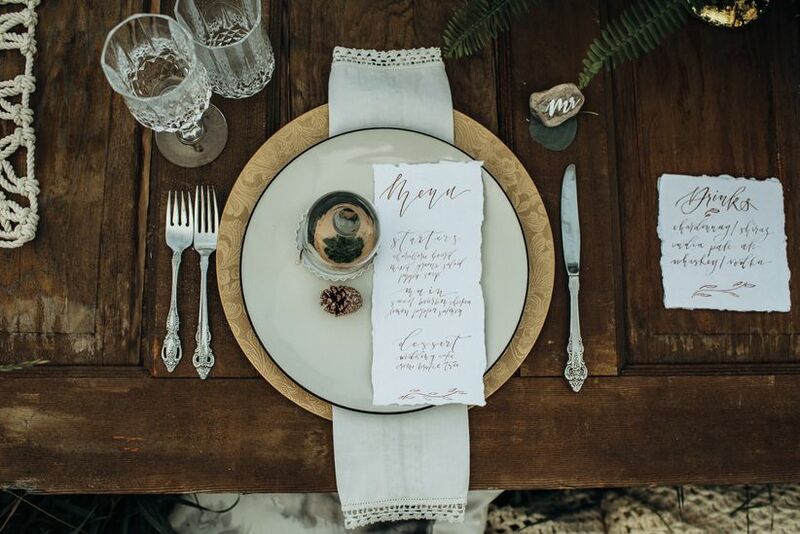 Well, we’ve got the 2019 wedding trends forecast to point you in the right direction with your venue, food, decor and more. 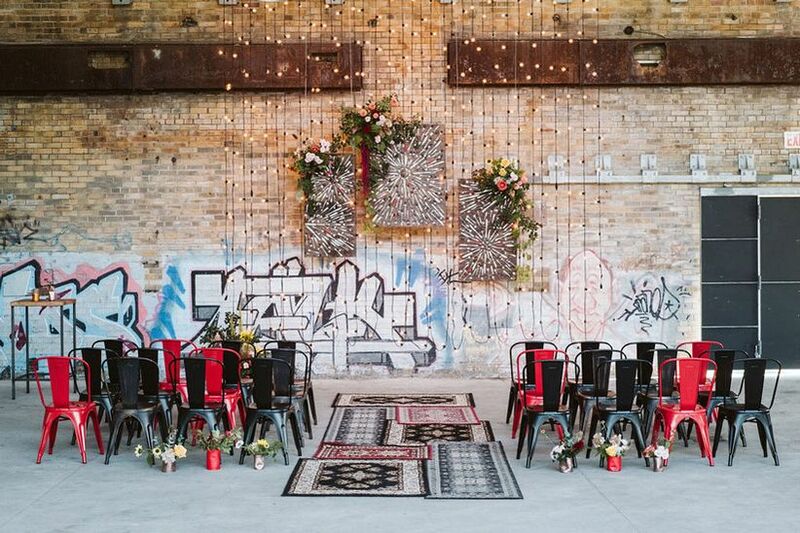 Remember, you don’t have to fully jump on the bandwagon and incorporate all of these Canadian wedding trends into your big day, but one or two may be just what you need to take your celebration to the next level. 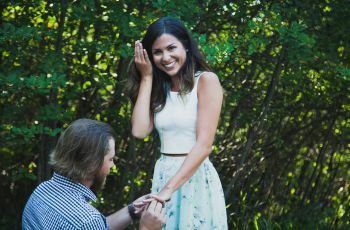 Here are the 2019 wedding trends that you need to know about. 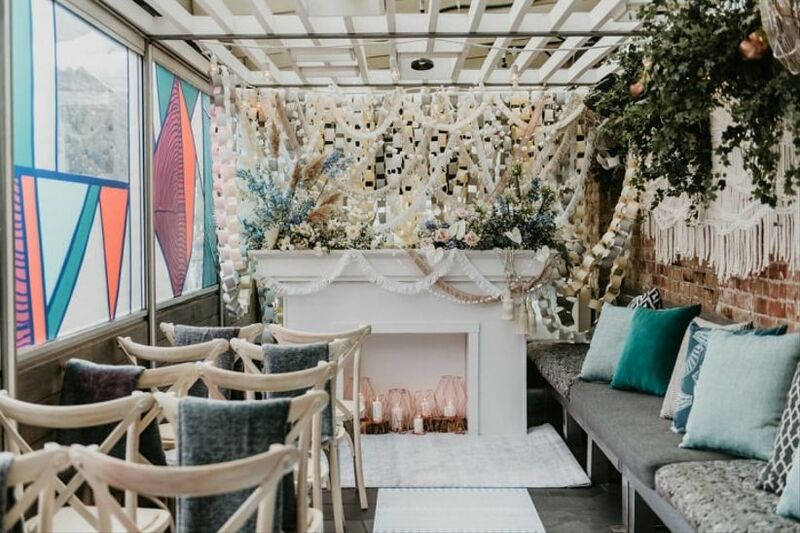 One 2019 wedding trend that is gaining momentum is the alternative wedding venue as couples go for something unique. 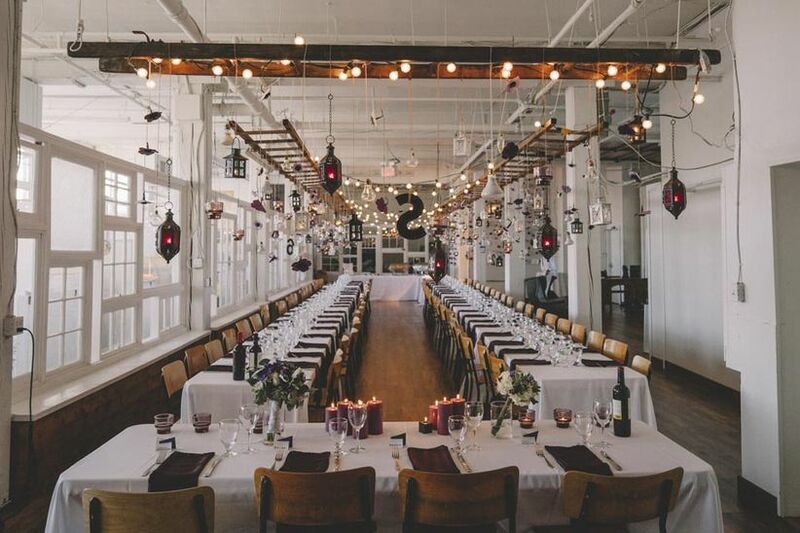 Industrial-chic spaces, rooftops, theatres, greenhouses, galleries and brewery wedding venues are rising in popularity and are definitely worth considering for your big day. Rose gold had its moment, but now it’s time for another metallic to take center stage. 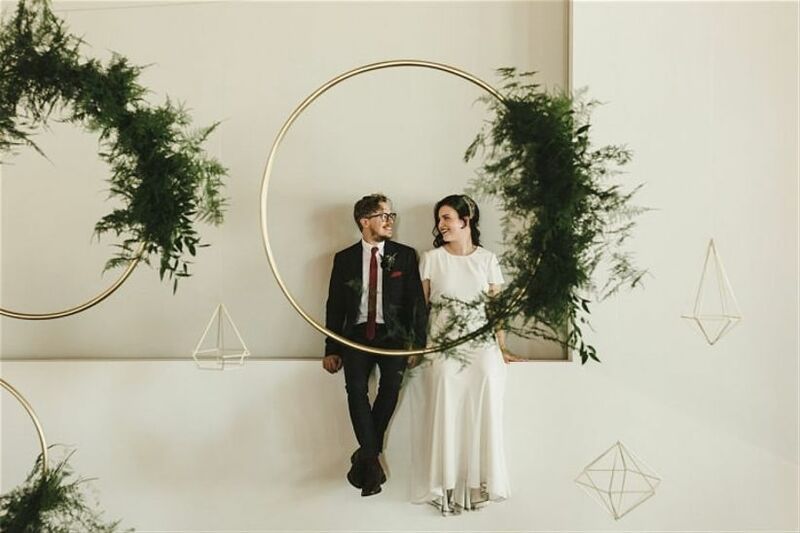 Amp up your ceremony by adding a geometric copper arch, include copper chargers in your place settings or add a few shiny copper baubles around your reception venue. Seriously, this colour can be used for much more than just Moscow Mule mugs (though you should totally have those at your bar, too). Copper designs are one of the popular 2019 wedding cake trends, too! The formality of perfect symmetry is being left behind in favour of asymmetrical design. This is one of the 2019 wedding dress trends we’re seeing and it’s been creeping its way into wedding decor, too. There’s something eye-catching about a design that’s not too predictable. Wedding flowers are either being placed or arranged asymmetrically, wedding cakes feature offset tiers and designs and ceremony and reception seating arrangements are also being shaken up with the placement of different colours and styles of chairs and tables in the venue. 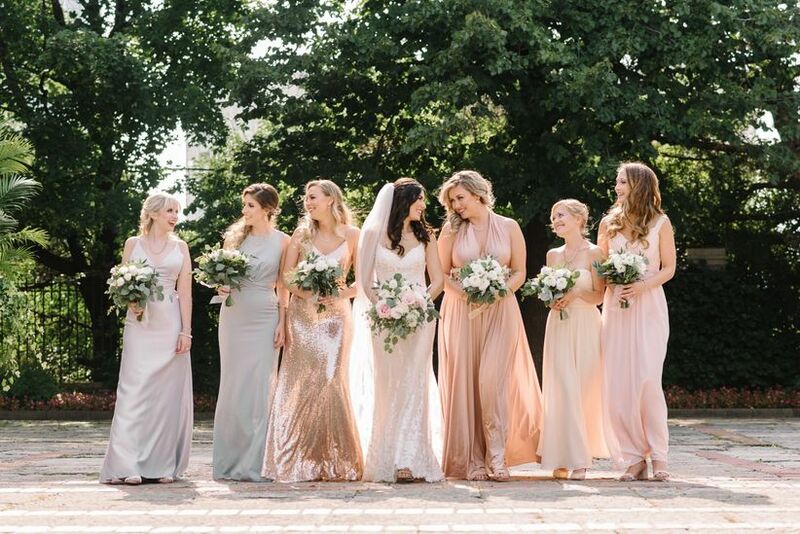 Another 2019 wedding trend that we’re predicting is that many couples will forego having a specific wedding colour and use a range of shades in the same colour family, instead. Not only does this look amazing for things like linens and bridesmaid dresses, but it will save you from carrying around a swatch of a specific colour to every vendor meeting or having a meltdown if one detail is slightly off. 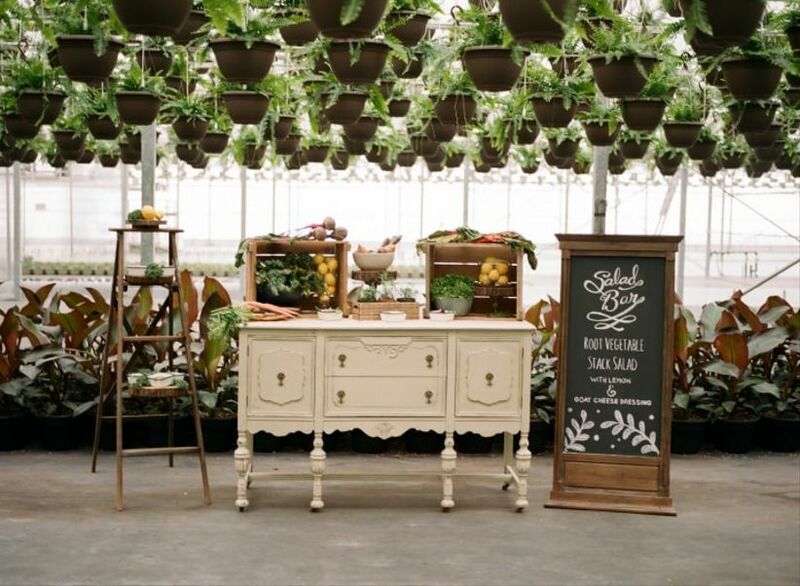 Be kind to Mother Earth by going green with your wedding details. 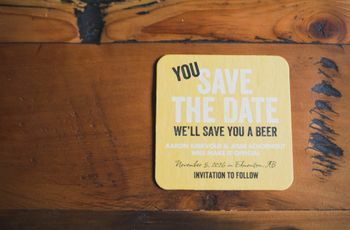 Small changes like choosing a caterer who uses locally-sourced ingredients, opting for smaller floral arrangements with seasonal blooms and ordering stationery that uses recycled paper and eco-conscious printing techniques will reduce the carbon footprint of your big day and make it that much better. P.S. if you want to go that extra mile, you can even ask that your guests support a charity you love instead of purchasing material goods for wedding gifts. Now, this has been popular for a while now, but wedding details are becoming even more mixed and matched with every year that passes - and we think it’s awesome. From wedding attire to chair styles to place settings, there’s really no area of planning where you can’t jump on this wedding trend. 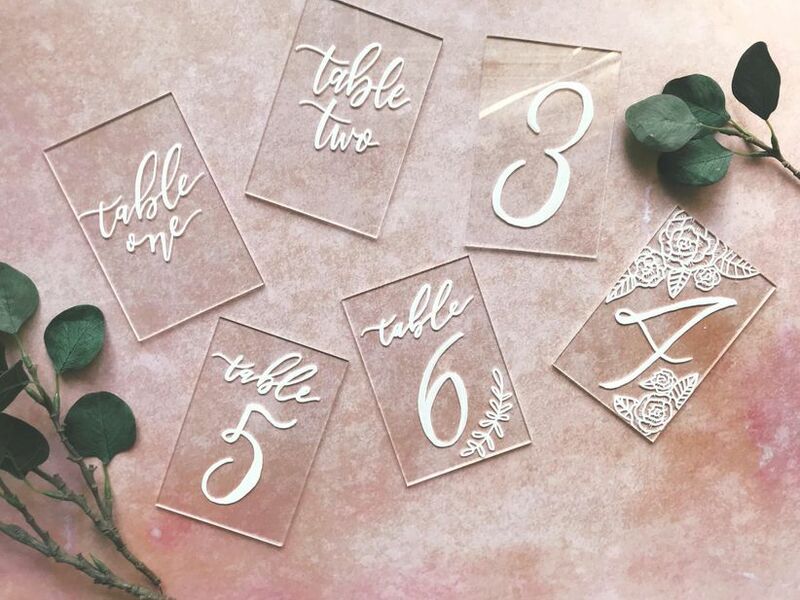 While wedding chalkboards and reclaimed wood signage will continue to be popular, we’re anticipating transparent wedding decor elements will be used to add a touch of modern elegance to any wedding theme. 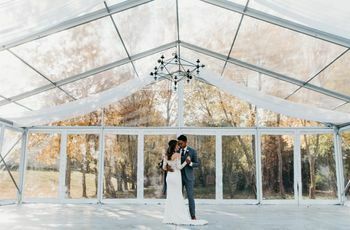 Expect to see this 2019 wedding trend to pop up in everything from clear top tents and ghost chairs to lucite decorations like wedding seating charts and table numbers. 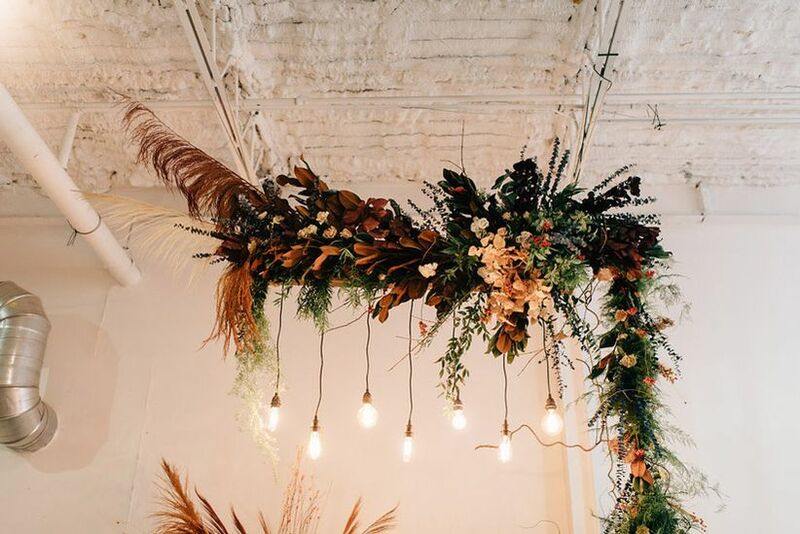 Yes, many couples will still go for traditional floral arrangements in 2019, but a fair few are expected to shake things up and opt for alternative decor in their wedding centerpieces and bouquets. Larger arrangements will flaunt cotton branches and pampas plumes (a la Mandy Moore). Brides may carry floral hoops instead of traditional bouquets. Also, additions like gemstones, ceramic boxes and boho bits and bobs may accompany centerpieces, making wedding table settings boho, elegant and absolutely gorgeous. 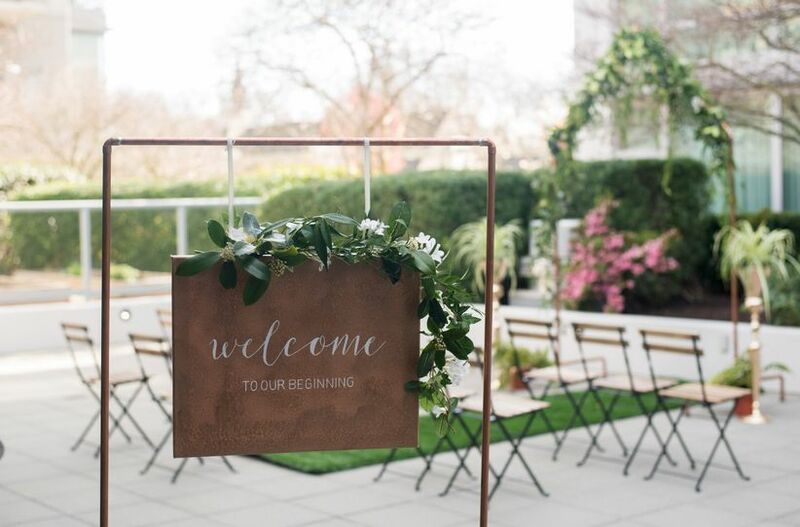 Brighten up your wedding signage with this 2019 wedding trend! 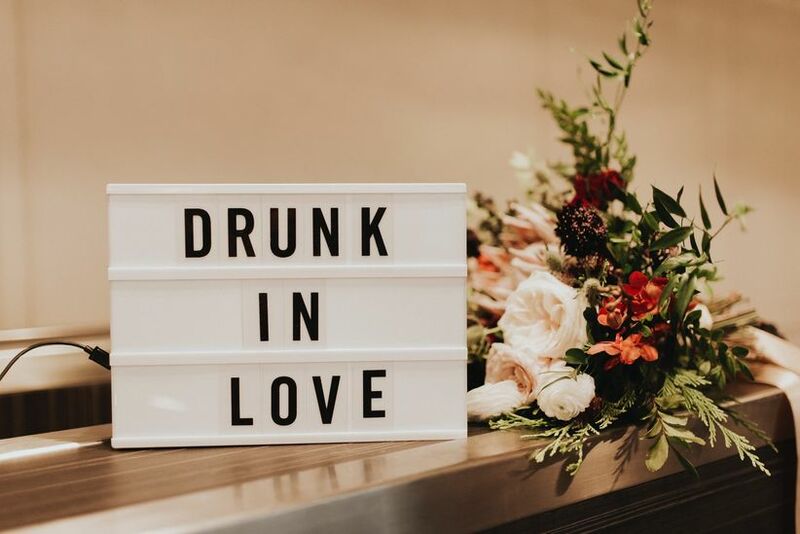 Lightboxes are a fun way to modernize your wedding decor and, bonus, you’re guests will be able to see them even after the sun goes down or the lights dim. Also, in the wonderful world of signage, the felt board and neon trend are expected to hold strong. Yes, everyone loves an artsy wedding cake, but don’t slack on style when it comes to the rest of your food display. One of the 2019 wedding food trends to think about is ditching the traditional table top spread and going for something with a bit more visual appeal. 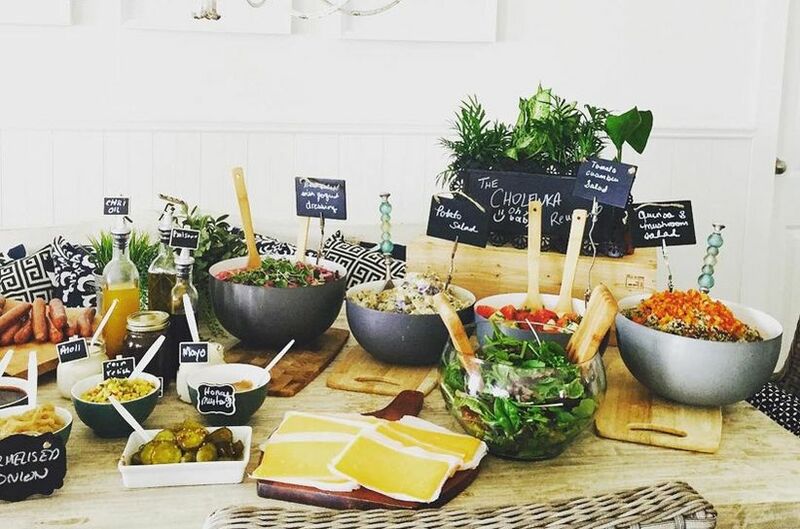 Show off your hors d’oeuvres on shelves, get sculptural with your bread and crudites or repurpose things like wheelbarrows and canoes and use them to hold cold beverages, instead.